A key legislator is hoping to spare the state’s courts from a deep budget cut. “The programs that they’re developing are doing a lot to keep people out of prison, keeping a lot of juveniles from going down that path,” says Republican Representative Gary Worthan of Storm Lake. Worthan is co-chair of the group of legislators who develop a budget outline for the state’s court system. He says the chief justice of the Iowa Supreme Court “hit the nail on the head” in today’s speech to legislators, by arguing court programs that intervene early with juveniles, troubled families and those accused of drug crimes are saving the expense of costly prison time. The court system will have to shoulder some sort of budget cut over the next six months, but Worthan’s hoping legislators will agree on a cut that’s less than seven-million dollar reduction the governor has proposed for the courts. 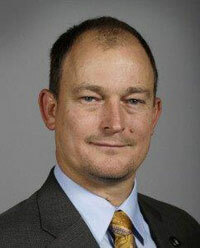 Senator Mark Chelgren, a Republican from Ottumwa, is the other co-chair of the group that drafts the court system’s budget. “The justice system has been run relatively efficiently and on a tight budget for quite a while, so I think we’re going to have a hard time really squeezing the money out of it,” Chelgren says. 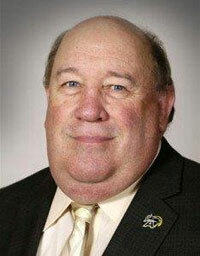 But Chelgren says no section of state government should be immune from examination as legislators compile about $100 million in cuts to the current year’s state budget. Chelgren says that means even “good” programs will suffer, because of the budget reality legislators face.